Please click on the links to the right for printable versions. The pdf files will open in a new window. 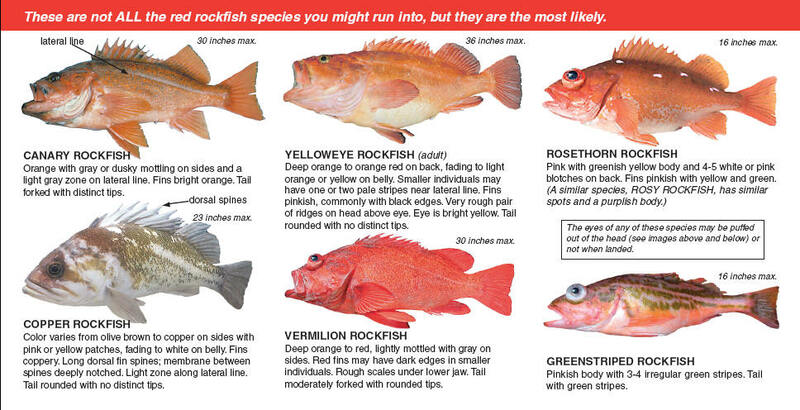 If you should happen to catch either Yelloweye or Canary Rockfish, please send them back down as soon as possible using a descender of some type. If you fish in Oregon waters and do not have a descender, we would be happy to provide one to you at no charge. Please go to the Order page.